Trade show table throws can grab the attention of people walking by, encouraging them to stop into your booth and see what you have to offer. 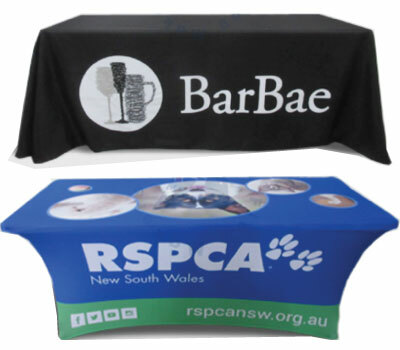 Stretch tablecloths are also extremely popular because they offer easy setup and a seamless appearance. Not quite what you’re looking for? We have multiple styles of table cloths to choose from. Please contact us to discuss your requirements.